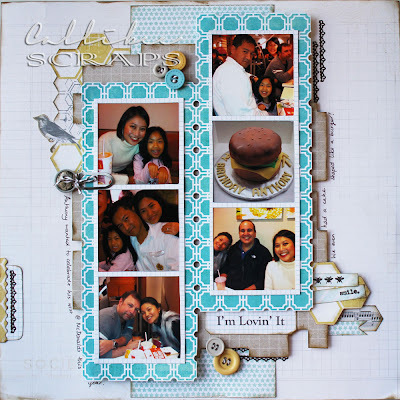 I had said previously that I wanted to do hubby's birthday layout with some of the My Mind's Eye Follow Your Heart paper line, so here it is. There are two colour palettes to these papers; blue "Be Amazing" and pink "Be Happy", however, all the papers can be used interchangeably and will match perfectly with each other. 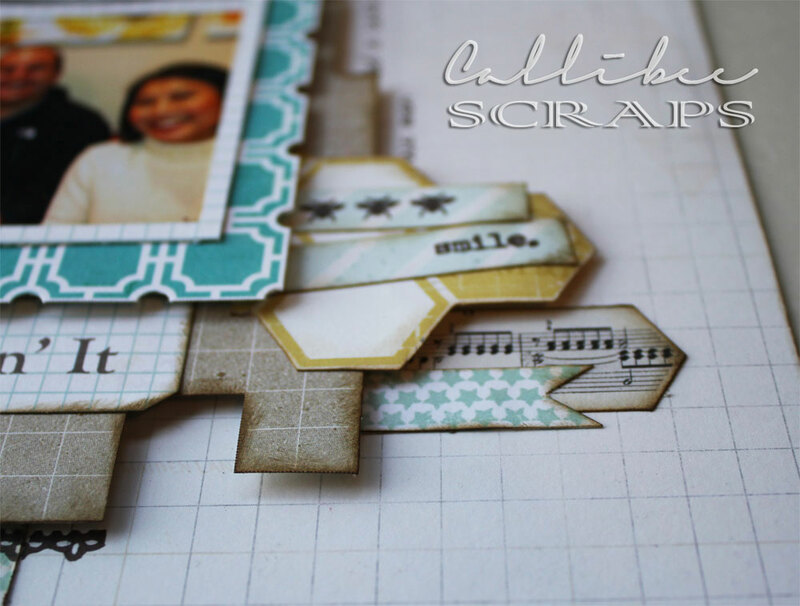 For this layout, I stuck to the "Be Amazing" collection and I wanted to give it a more geometric feel rather than the free-form layout that I did for the Rejoice layout. Cutting around the patterns highlighted the different geometric patterns of each paper. Adding a separate accent on the left edge of the paper balances out the page. 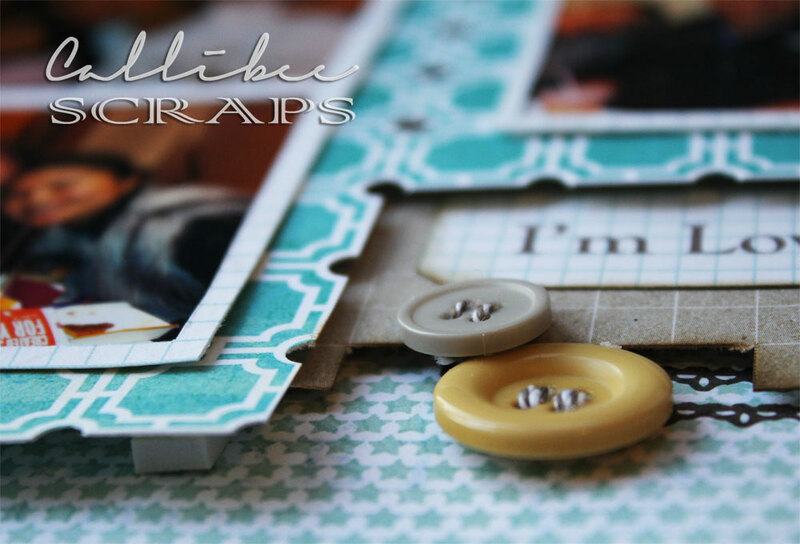 I raised each paper layer with pop dots to add more dimension to the page. A We R Memory Makers Crop-A-Dile Big Bite was used to punch out the little holes in the blue paper. Make little tags of different shapes to contrast. Each element was inked around the edges to give it more definition. 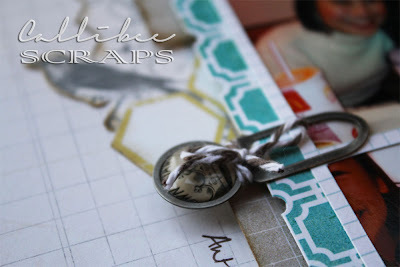 Adding the same elements around the page (brown twine on the the clip and buttons, mini lace stamp) tie the layout together.